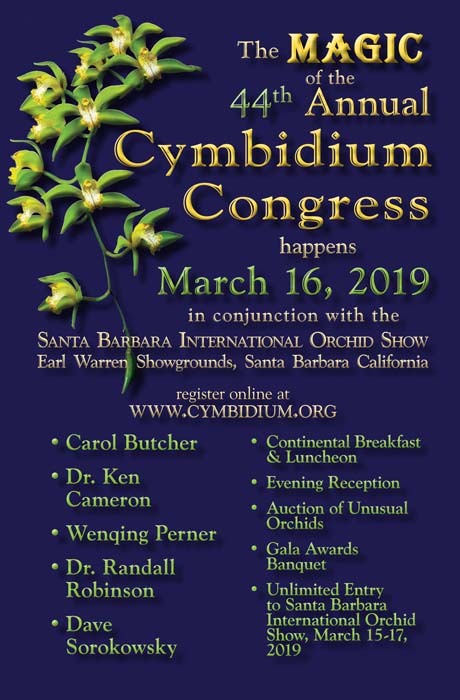 The Cymbidium Society of America was founded in 1946 to stimulate and extend the appreciation of Cymbidiums, Paphiopedilums and other cool-growing orchids. Now consisting of nine individual branches, the Cymbidium Society strives to develop, acquire and disseminate information concerning these beautiful and enchanting orchids. As the official voice of the Cymbidium Society of America, CSA Journal is published quarterly, with an international range of coverage. While Cymbidiums and Paphiopedilums are the main genera featured, articles are included on other cool-growing genera that grow under cymbidium-type conditions. Each issue contains something of interest for everyone, from the newest beginner to the most advanced grower. OBJECTIVES OF THE SOCIETY: To stimulate and extend the appreciation of Cymbidium, Paphiopedilum, Phragmipedium, and other orchids grown outdoors in Southern California and similar climates, and to develop, acquire, and disseminate information concerning them and their culture.